Cara Marker Daily, PhD, BCBA, is a licensed psychologist and a Board Certified Behavior Analyst with over 20 years of experience providing assessment and treatment for children, adolescents and young adults with autism in the home, school, hospital and community settings. She works directly with educators, speech/language pathologists, occupational therapists, BCBAs and other professionals. Dr. Daily is the president and training director of Daily Behavioral Health, a leading behavioral health provider in northeast Ohio specializing in assessment, consultation, and treatment of autism, anxiety and disruptive behavior disorders. She is the founder and executive director of the Building Behaviors Autism Center, which has received numerous grants to provide free and reduced cost applied behavioral analysis services to individuals with autism. Dr. Daily has written several cognitive-behavioral and behavioral-based curriculums focusing on teaching daily living skills to children with autism and published a peer-reviewed journal article supporting evidence for success of these programs. She has presented nationally on topics of autism, disruptive behaviors disorders, anxiety and chronic health conditions in the pediatric population. Dr. Daily has been featured in radio, television, and other media platforms in northeast Ohio. She is the author of The Key to Autism: An Evidence-Based Workbook for Assessing and Treating Children & Adolescents (PESI, 2016). 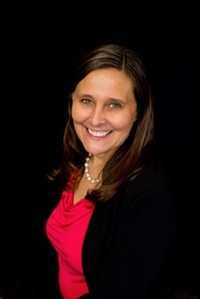 Dr. Daily received her Ph.D. in School Psychology at the University of South Carolina, and completed an internship in Pediatric Psychology at the Children’s Hospital of Philadelphia and a postdoctoral fellowship in Pediatric Psychology at The Children’s Hospital at The Cleveland Clinic. Dr. Daily is a member of the Department of Pediatrics at Fairview Hospital at the Cleveland Clinic, the American Psychological Association, the Ohio Psychological Association, and the Christian Association of Psychological Studies. Financial: Cara Marker Daily is the president/training director for Daily Behavioral Health, Inc. She is the founder/executive director of the Building Behaviors Autism Center. She is a compensated consultant for Rethink Autism. She receives a speaking honorarium from PESI, Inc.
Nonfinancial: Cara Marker Daily has no relevant non-financial relationship to disclose.